With all the controversy about Confederate monuments and the chorus of shrilly racist dog whistles about “Southern heritage” emerging from the Trump administration and its supporters, the fact that a different sort of American history continues to be erased from the national discourse is too often drowned out. That’s the contention of Bryan Stevenson, founder and executive director of the Equal Justice Initiative. 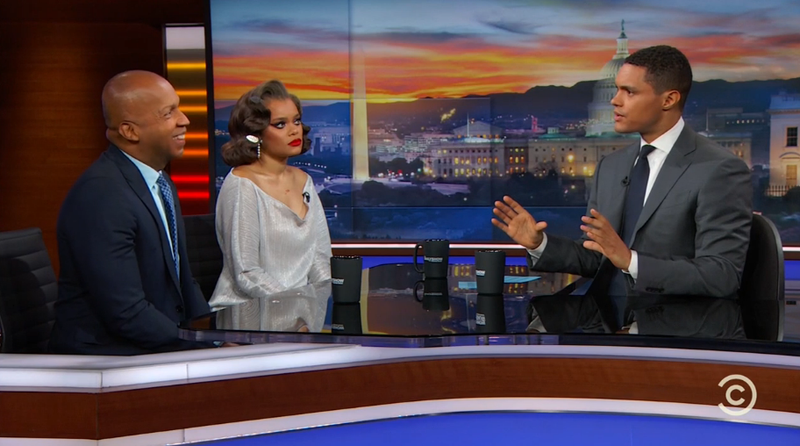 Appearing on Wednesday’s Daily Show alongside host Trevor Noah and singer and activist Andra Day, Stevenson offered the opinion that the buzzword “heritage” being tossed around by certain white people furious about the removal of Confederate statues is, in itself, an example of the very “erasure of history” that Trump’s “very fine” white supremacist monument enthusiasts claim to be against. For more information on the Equal Justice Initiative’s ongoing attempt to chronicle the history of lynching in America, check out https://lynchinginamerica.eji.org/.